*the Internet hosts a plethora of valuable resources on starting a winery. Specifically, Cornell University has a detailed mock business plan guide that can be found here. The North Carolina Department of Agriculture & Consumer Science produced a basic outline of the pertinent steps to take if/when you want to open a commercial winery. Click here to read it. 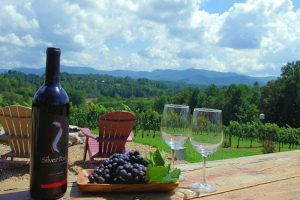 *Please note that while federal law does apply, this article is mostly geared to wineries in NC. In addition to the technical aspects of starting a winery, you should also consider contracts, trademarks, wine label approval, farm, distribution, health department, and employer issues/law. You want to make sure that you property is zoned correctly by your county or your city. A vineyard and winery operation should be considered agriculture in most counties. Register your business with the NC Secretary of State’s Office. Note: In NC you can produce tax-exempt, unfortified wine for personal or family use of up to 200 gallons of wine per year per two-adult household or up to 100 gallons per one-adult household without being a commercial winery. But, you CANNOT sell wine for personal or family use.